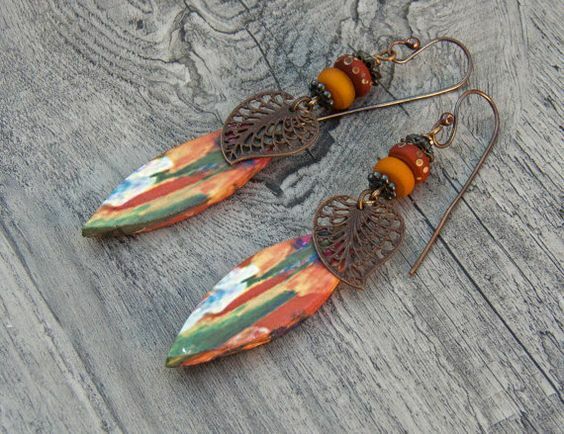 The bright bold colors is what attracted me to this pair of earrings. That and the petal shape of the main component. I like the textures that are in play here...the dripped paint effect, the filigree brass leaves, the dots on the tiny spacers. These earrings would perk up anyone with mid-winter blues! These are beautiful! Love those colors.